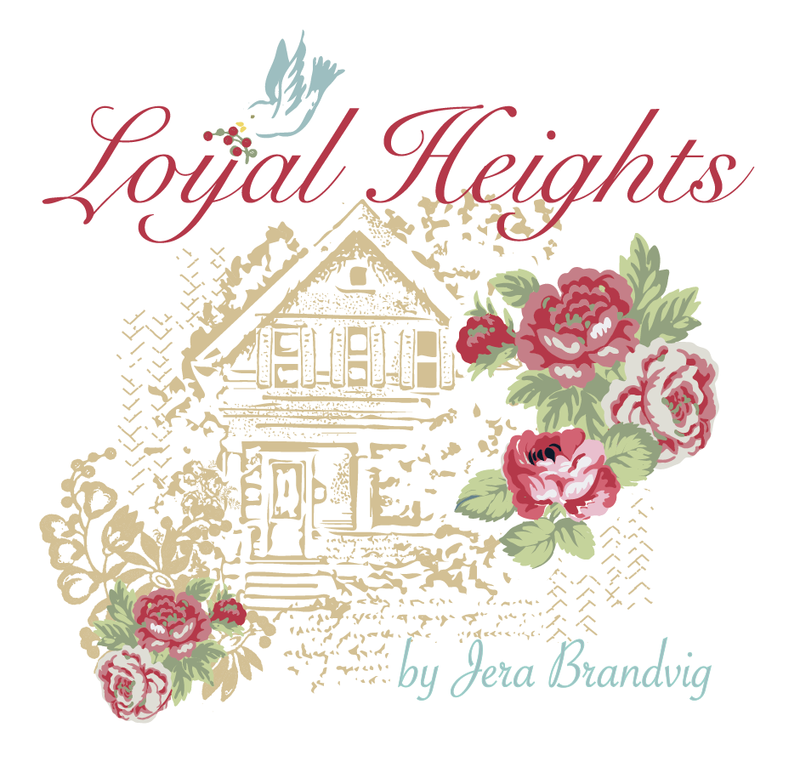 A few months ago I did this Stairway to Heaven quilt tutorial for Moda Bakeshop. I did not finish it via quilt as-you-go as I normally do, so I ended up with a quilt top that sat in my sewing nook for months. 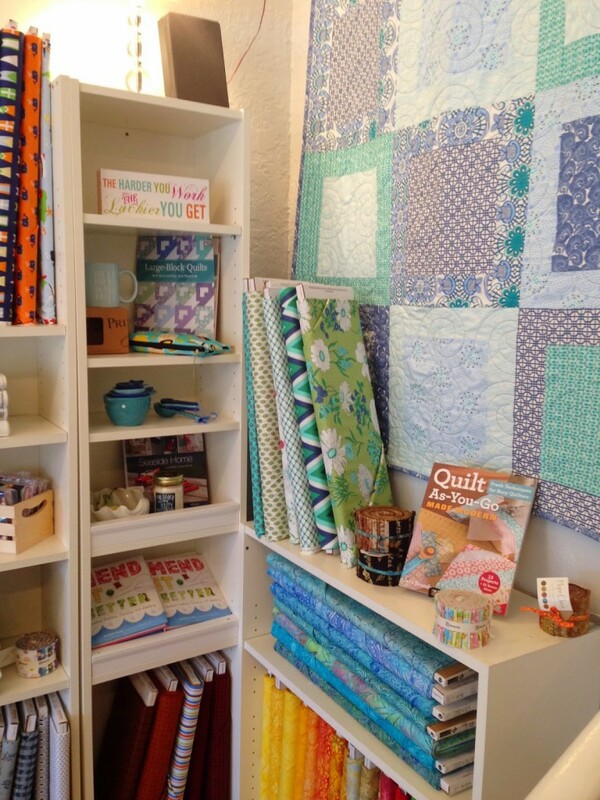 To my timely luck, my good friend Monica (owner of The West Seattle Fabric Company), just opened machine quilting services in her shop. Monica asked me if I had anything laying around that I needed to just get done and so I jumped at the opportunity to get this quilt finished, once and for all! One less work-in-progress, right?! …VOILA! 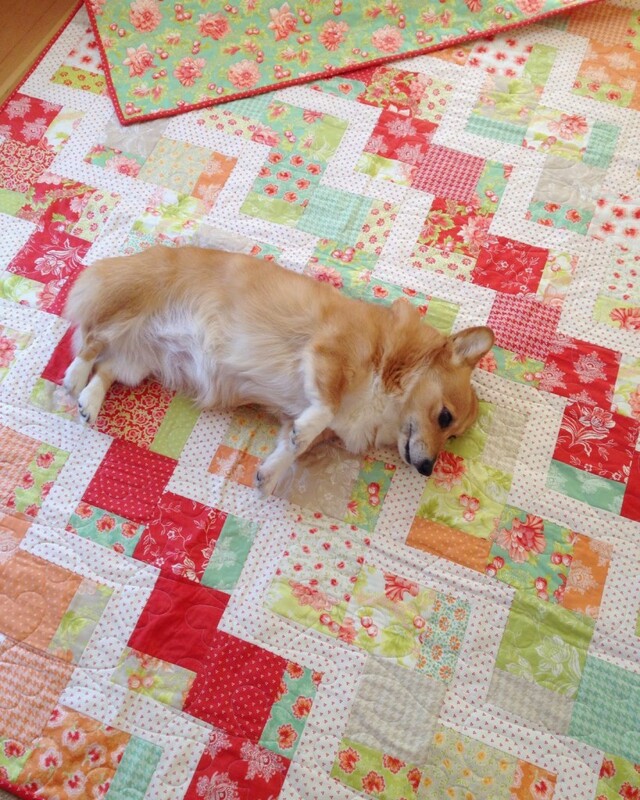 Within 10 days my quilt was finished. Monica did a beautiful job, and took such great care of my quilt! 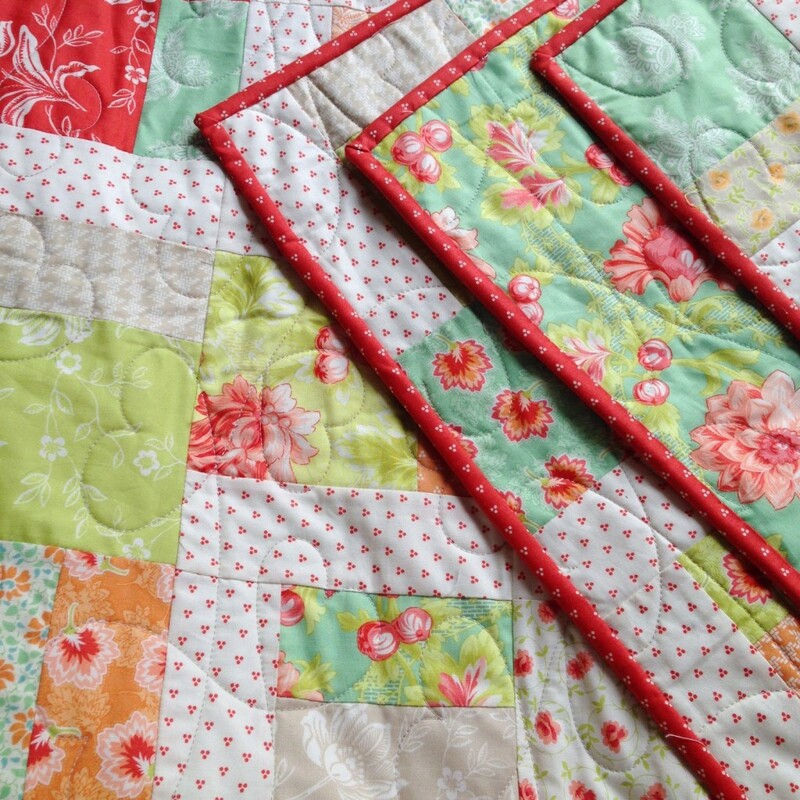 She quilted the cutest hearts with edge to edge machine quilting. a few months, so be sure to check back! quilt top and backing (or choose a backing from their shop – they have minky and flannel options for the backing fabric, too! ), and then they’ll mail your quilt back to you within 10 days. Super simple. That’s how I like it! Once again, you can find my free quilt pattern HERE. 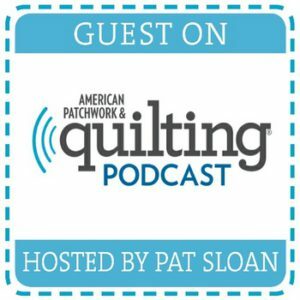 And for more details on The West Seattle Fabric Co.’s machine quilting services, visit HERE – and check back for online quilting services coming soon! If you’re ever in the Seattle area, be sure to stop by The West Seattle Fabric Co., or visit them online. 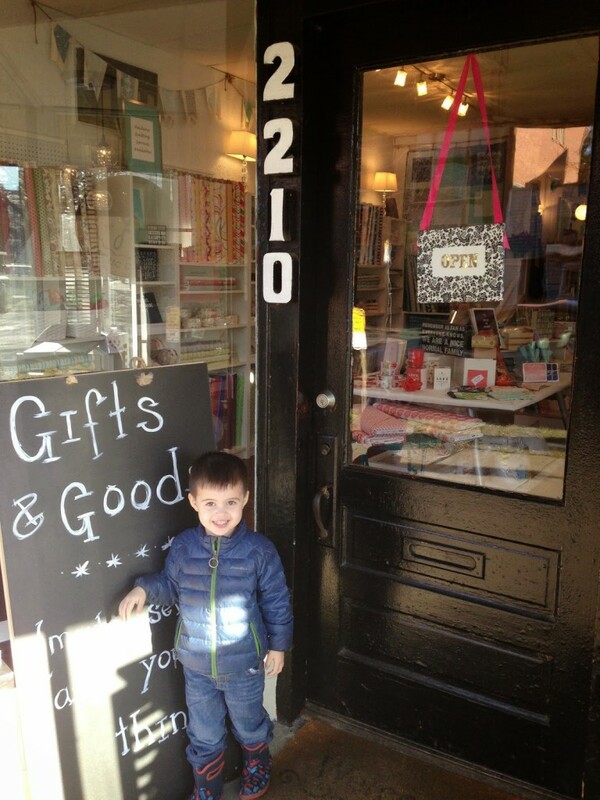 My son and I are frequent visitors. Thanks for stopping by my blog to read about my experience with machine quilting services! 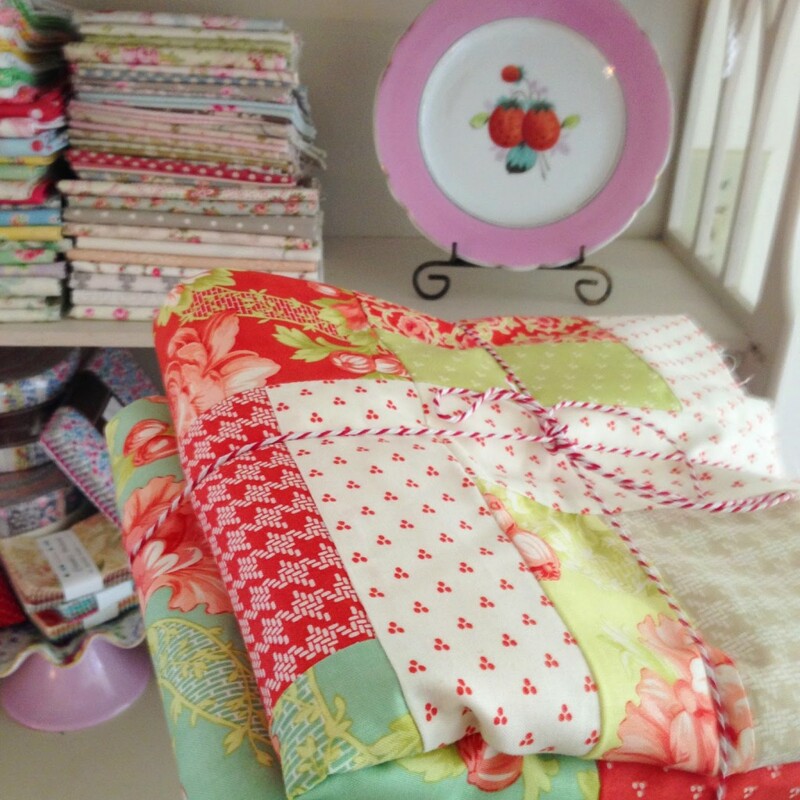 The fabric collection I used for this quilt is Somerset by Fig Tree and Co. for Moda. I used all the colorways in the collection except for brown. Absolutely beautiful. I love the larger pattern of hearts. Sometimes long-arm quilting gets too busy for my taste. 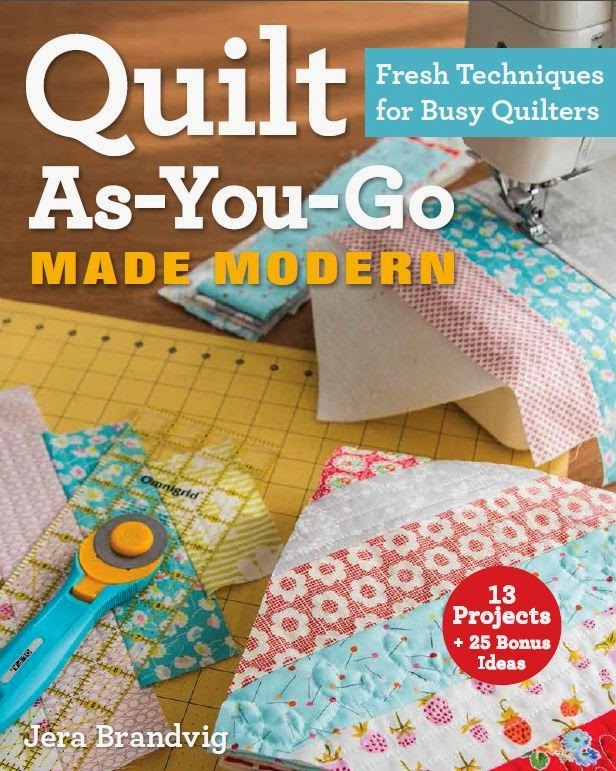 Maybe it is because I grew up hand quilting. 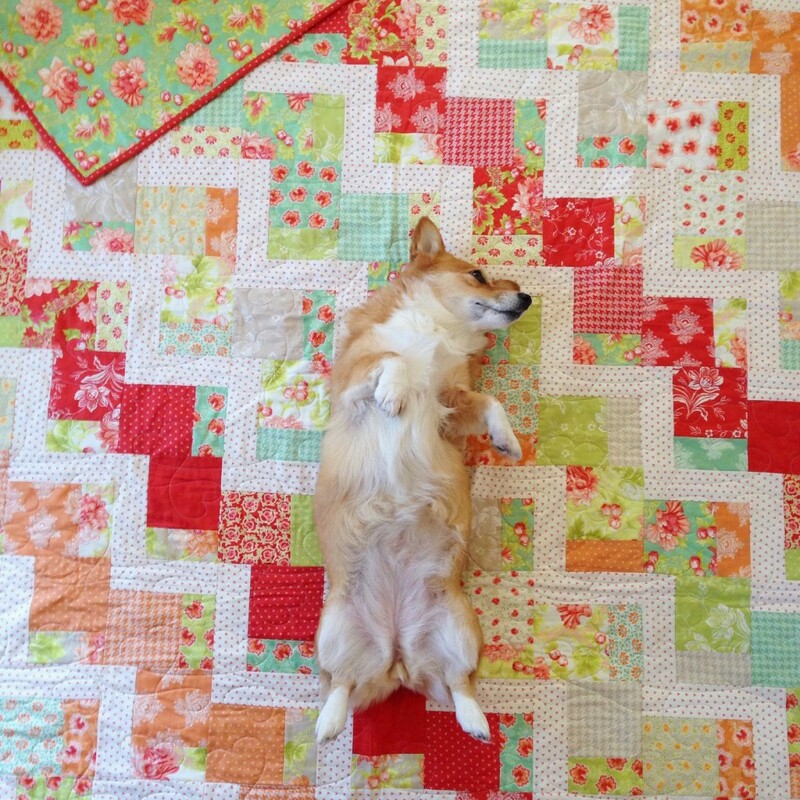 Quilt, boy, dog — all a reminder of love! that is SO pretty! Love your colors and that gorgeous binding. Oh yes, your binding is immaculate. Someday I hope I can do mine that well. So pretty! 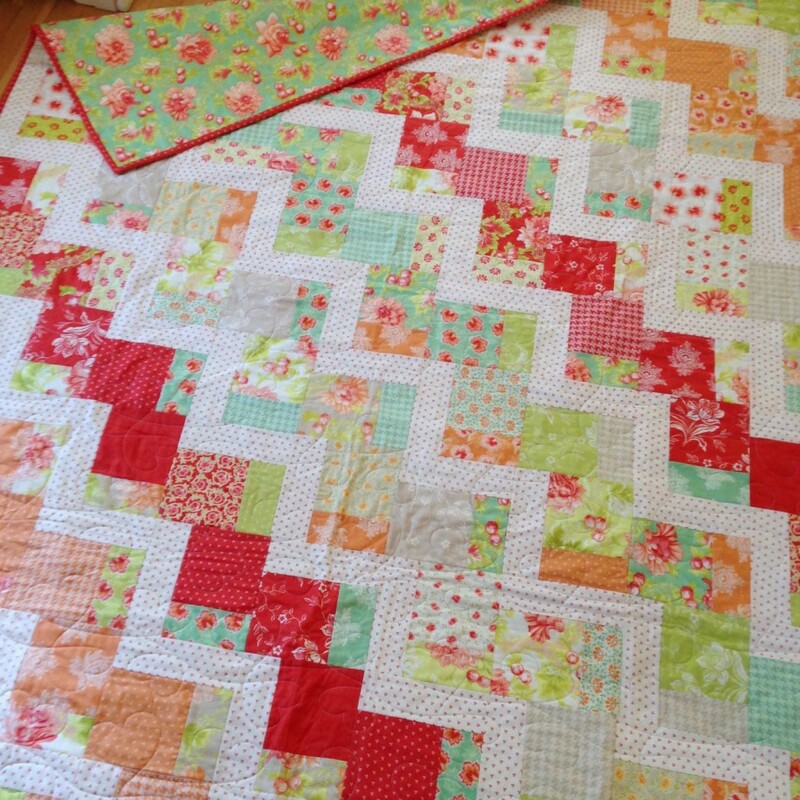 Such a lovely quilt design and beautiful soft quilting. Beautiful quilt! Paige sure gives her approval! 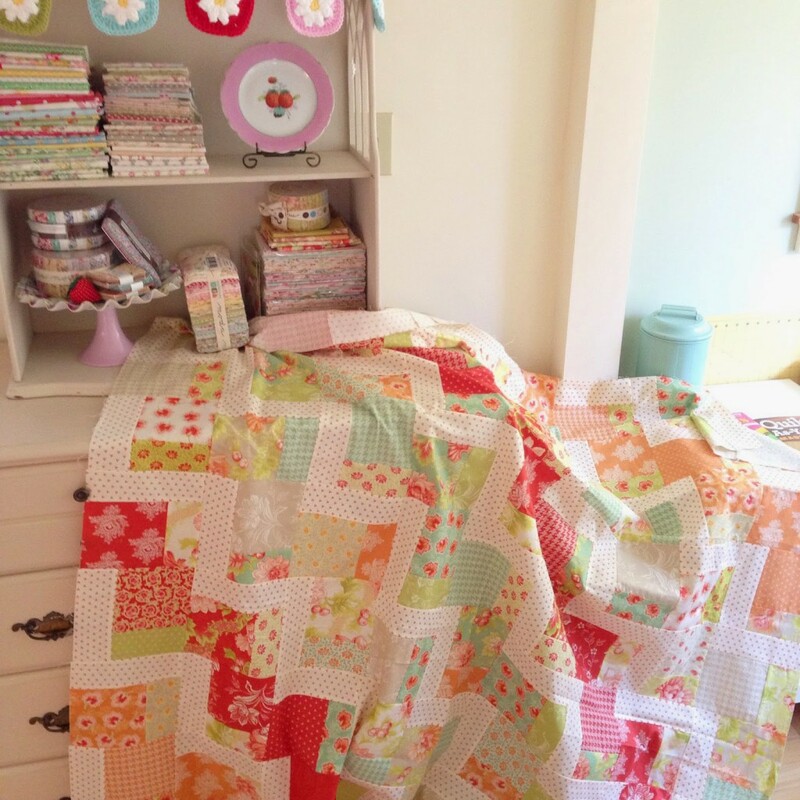 Very pretty and Quilt Police approved as Paige seems very happy on it ! LOL How adorable on both !! ( my dog and the foster cat are my QP..LOL). Love, love, love it! 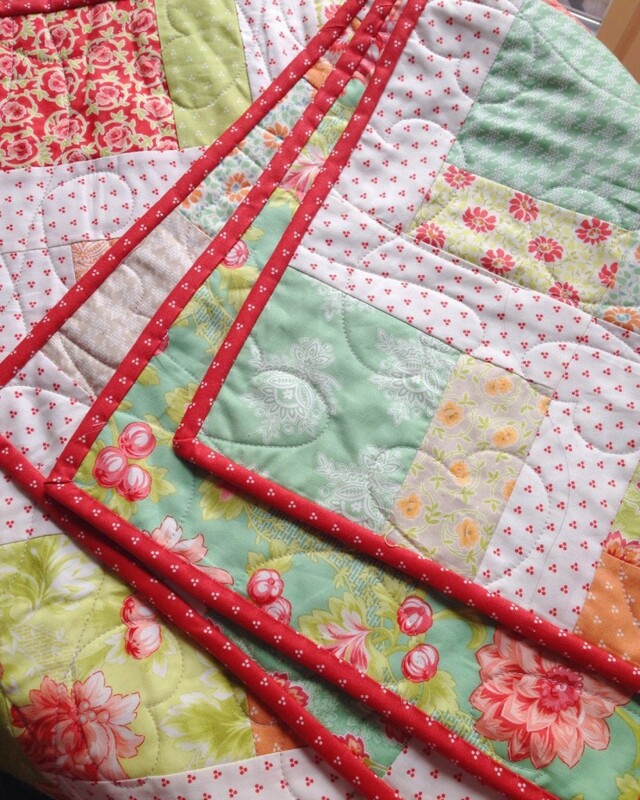 I have just started quilting (at my advanced age!) and seem to be doing pretty well with the piecing but the binding is my buggaboo! Your binding is fantabulous! 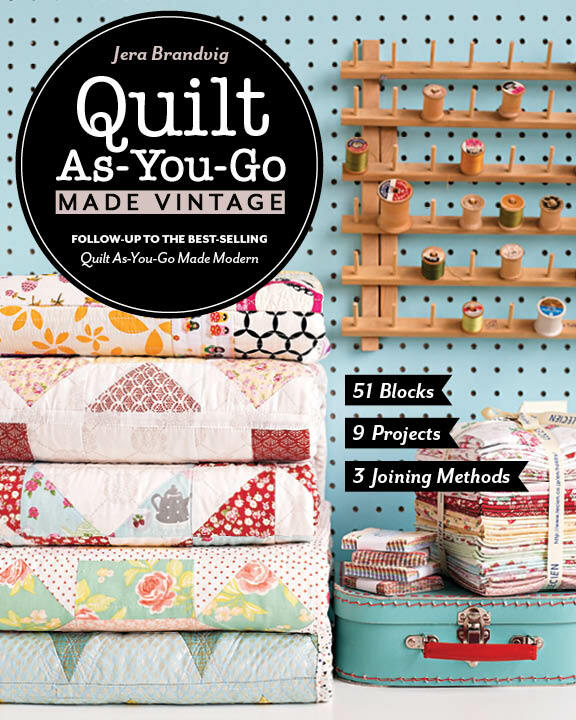 And, I love the idea of quilt as you go. 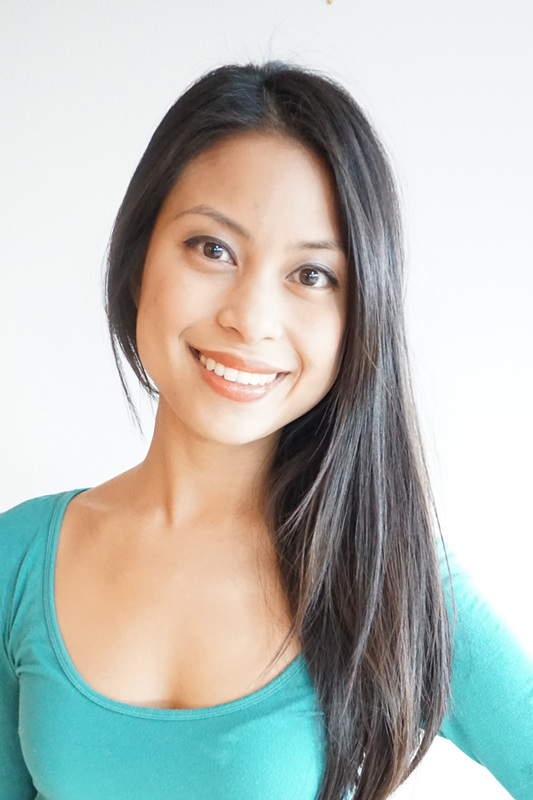 Congratulations on the impending bub! It certainly sounds like you're dealing a lot at the moment. I hope you get a couple of weeks of quiet before he or she arrives. I made two of these quilts (Stairway to Heaven), one with Fancy by Moda and one with Bandana by Moda. Instead of using strips from other fabric I just used the left over layer cake squares. 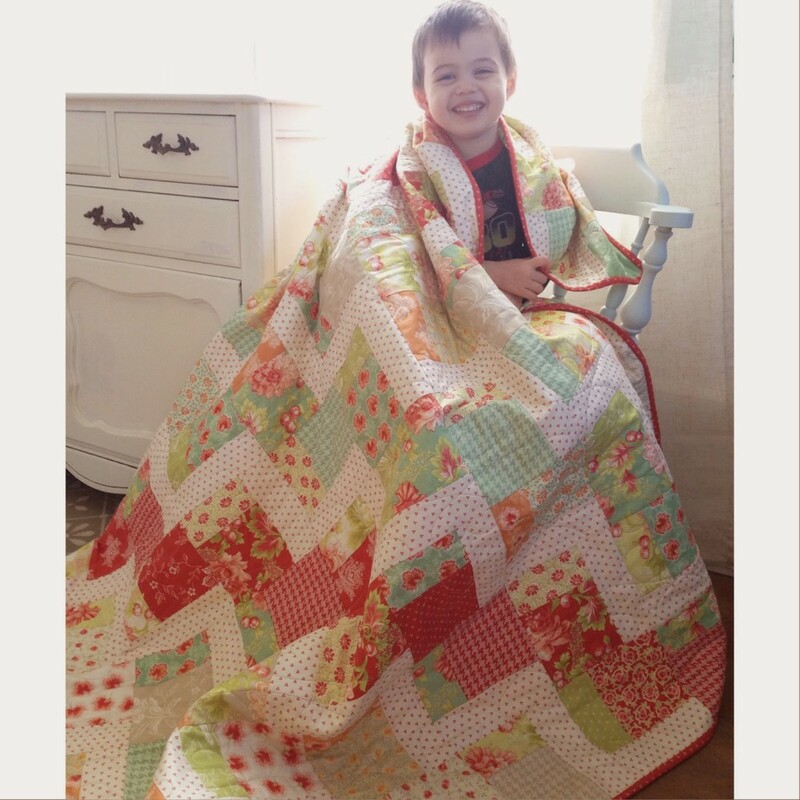 I loved making the quilts and the results. Thank you for the pattern. I would have sent a picture of the two quilts but I was not sure how.